Give yourself a treat, that’s what you need! To reach this tempting goal, see the hotels in Touraine with a wellness area, to be enjoyed during your future weekend break. In a region famous for its lifestyle and serenity, you will definitely enjoy the range of beauty and health treatments (massages, access to wellness areas) on offer in different types of accommodation. 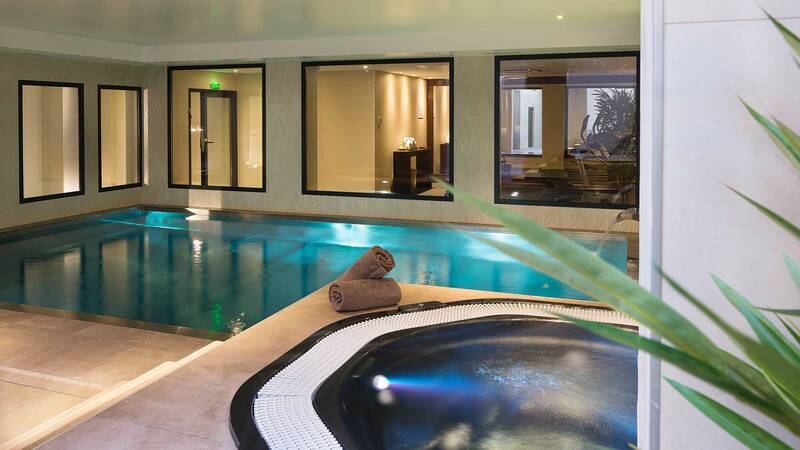 Right at the heart of Tours, the Oceania l’Univers Hotel has just opened a new wellness area that will leave no one indifferent: swimming pool, hamam, jacuzzi, gym… you could well be tempted to get a loyalty card. Again in Tours, the Clarion Hôtel Château Belmont also has a wonderful relaxation area, providing you with the optimal conditions to enjoy the excellent restaurant just next door: Charles Barrier. Near the capital of Touraine, plenty of other establishments have a spa where you can let yourself go in sweet drowsiness: the Château d’Artigny, Château de Beaulieu, l’Aubinière, Au charme Rabelaisien and the Domaine des Thomeaux. And in many other places besides! Richelieu is known as the town founded by the famous Cardinal, and soon you’ll remember it for its ecological tourism residence, too: the Relais du Plessis gives guests access to a top-quality environmentally friendly spa! Near Amboise, along with a visit to the royal château, Clos Lucé or the Grand Aquarium of Touraine, the Manoir du Parc welcomes visitors to its gîtes or cabins equipped with a jacuzzi. A great destination, like the Esprit de Clocher gîte and the Ferme du Bien-être guest house. Our last suggestion will whisk you away to the Chinon wine region, where you can relax in the wine-press house (Château de Candes) or in the Domaine de Basse Chancelée after a visit to one of the many local wine cellars or the royal fortress of Chinon.